The other day I got a bunch of fresh dill, and I have been making good use of it ever since. Two of the better things I made were dill buttermilk biscuits and a dill vegetable salad. Both reminded me that once again summer will come, as will my organic farm share, and I will be able to eat fresh herbs and vegetables all the time. I can’t wait! 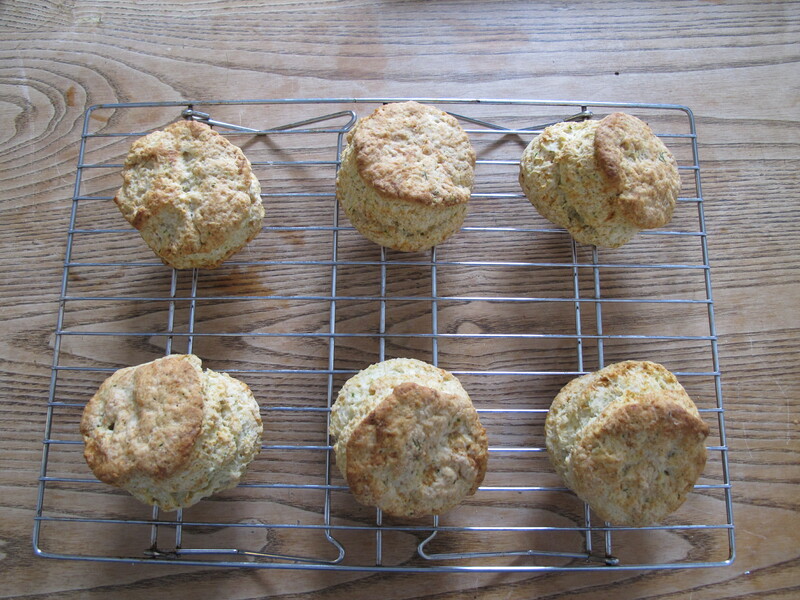 This recipe makes about 6 biscuits. It is made in the food processor so it is nice and easy. It is important that you eat this biscuits right away; that is when they taste by far the best. 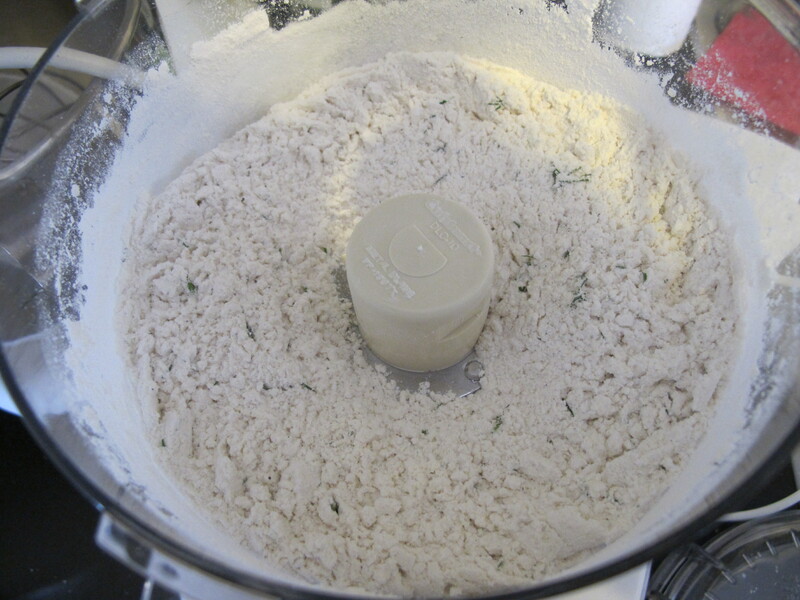 Pulse the flour, sugar, baking powder, salt, and baking soda in a food processor to combine. Scatter the butter over the dry ingredients. Pulse until it looks like course meal. 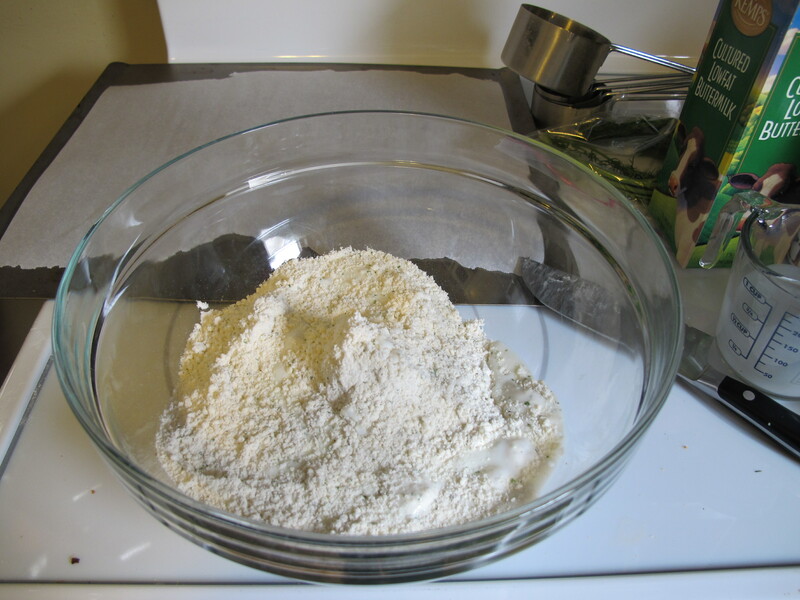 Transfer the flour/butter mixture into a bowl. Pour the milks over it and stir until the dough comes together. Be careful not to over mix! 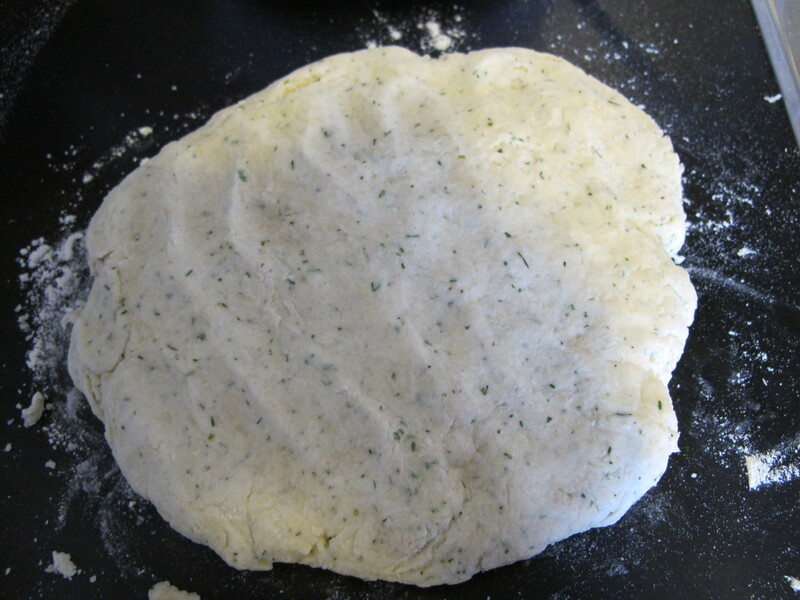 Pour out the dough and knead for about 30 seconds. Using a biscuit cutter, or in my case, a low ball bourbon glass, cut circles out of the dough. It should be about 1 inch thick and 2 and a half inches wide. Space them out on a cookie sheet and bake for 5 minutes at 450, then reduce the heat to 400 and bake another 12-15 minutes. Cool slightly on a wire rack. But do eat while still warm, they are much much better. 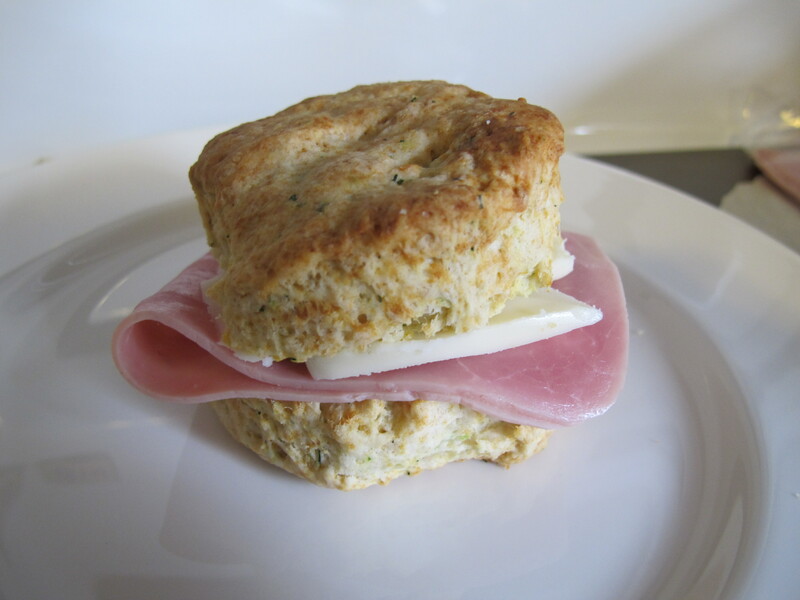 We made little sandwiches out of these biscuits. We put ham, dill mustard, and white cheddar on them. I have made this salad many times, but I had never made it with dill before (usually I use tarragon or sage). It is a great salad that you can make with a variety of different vegetables. 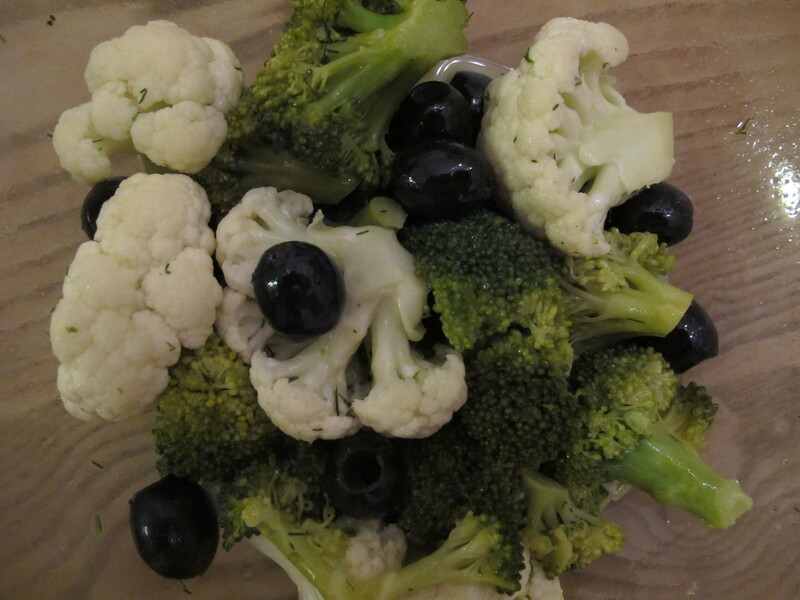 This time I used broccoli, cauliflower, and black olives, but other favorites include orange peppers and artichokes. Steam the vegetables so they are still crisp. You can use a steamer if you have one. Since I do not, I put a strainer in a pot of water and steam them that way. It works pretty well. I mix all the non-vegetable ingredients together with an immersion blender, a regular blender would work just fine. Pour it over the steamed vegetables and let marinade for at least three hours in the fridge. I will try the vegetable marinade for sure….nice pics as well! You and I continue to be on the same cooking wavelength. 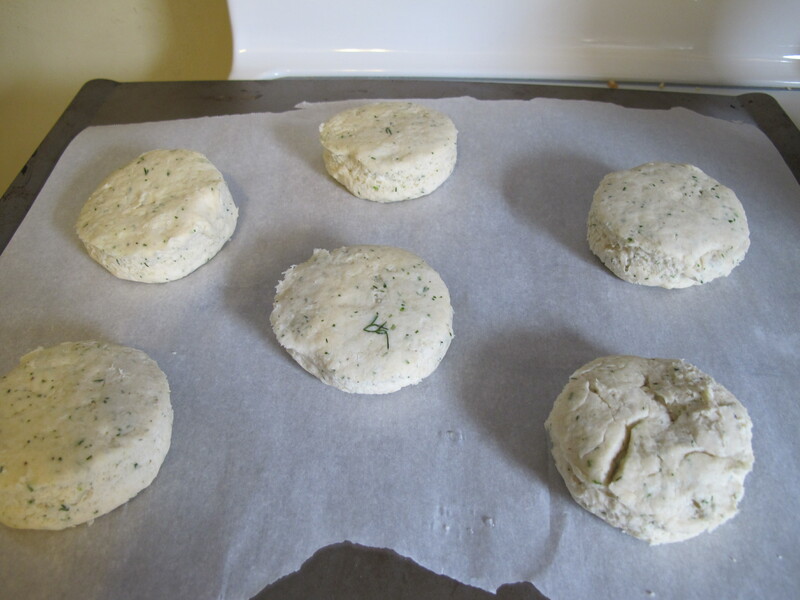 I just made biscuits with rosemary and thyme last week!